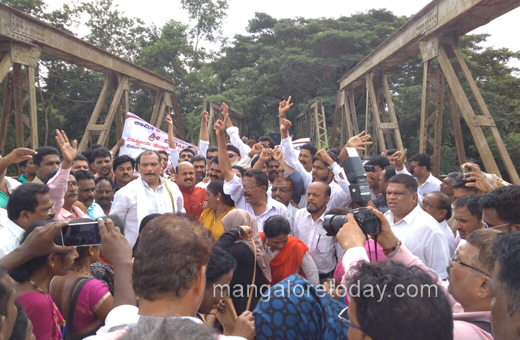 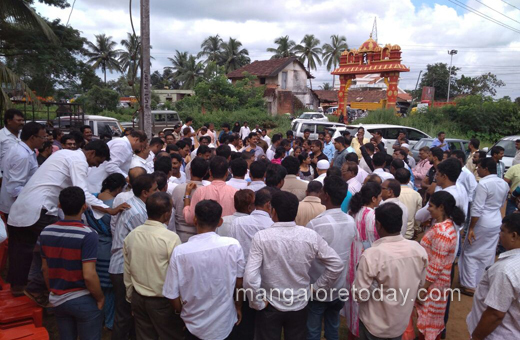 Mangaluru, Oct 15, 2017: A Rasta Roko was staged near the Gurupur bridge on October 14, Saturday under the leadership of MLC and Chief Whip of State Legislative Council Ivan D’Souza demanding repair of the National Highway 169. 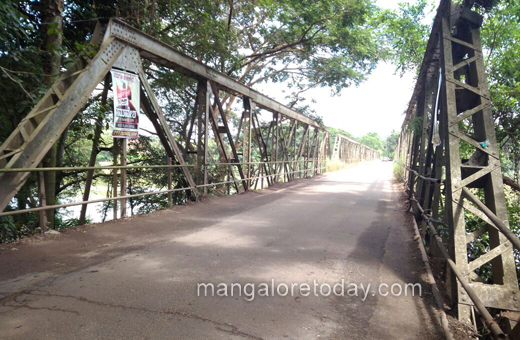 Speaking on the occasion, Ivan D’Souza said it has been 20 years since the road has seen any repair. 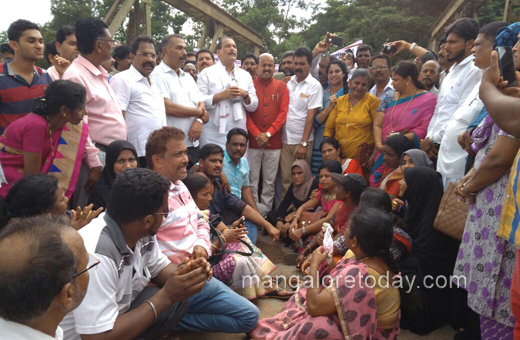 He demanded that the road be converted into a four-lane and also to provide compensation to all those who lost their land along the stretch. 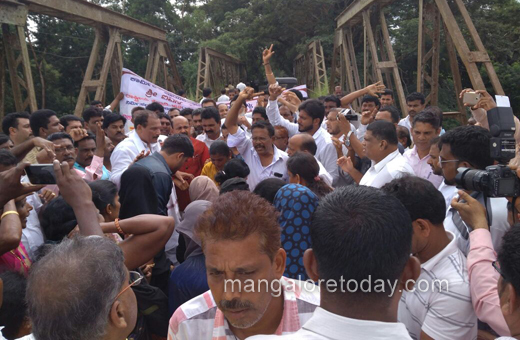 MLA Moidin Bava, ZP member U P Ibrahim, Gurupur Block Congress President Surendra Kambli, TP Vice President Poornima Ganesh, autorickshaw, tempo, bus drivers and members of the general public participated in the protest.